When I'm not dabbling in sugar and spice, I'm often found playing with yarn and fabric. This page is for links to all my fibery pursuits. All my knitting and crochet projects are listed on my Ravelry page. My user name there is (surprise, surprise) Nupur. Pizza Halloween costume, made from felt. Tutorial here. Self-binding baby blanket: pattern here; posted here. Father's Day T shirt with chain-stitched hand-prints. Posted here. 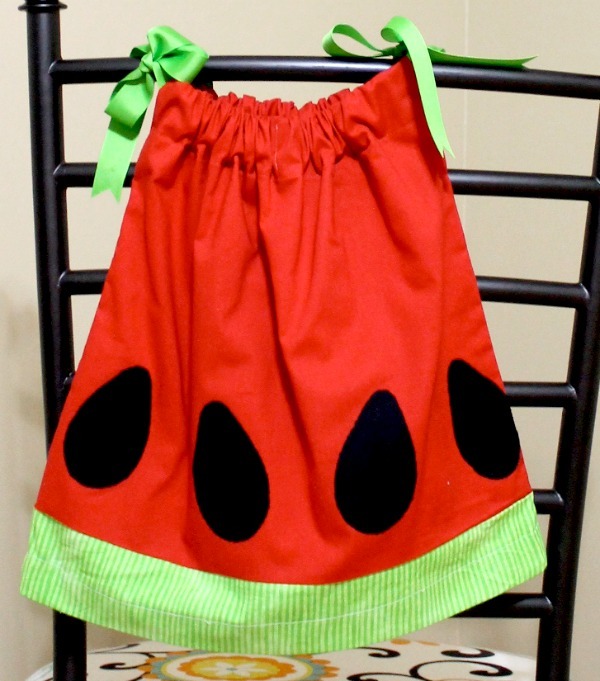 Watermelon pillowcase dress: pattern here, posted here. Tea wallet (to hold a couple of tea bags and sugar packets for tea on the go; can also be a sweet little gift card holder): pattern here, posted here. Crayon tote for art supplies on the go: pattern adapted from here; posted here. 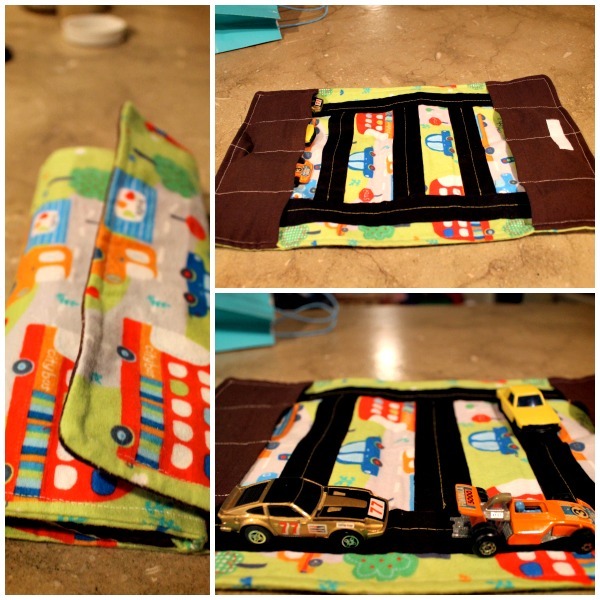 Car roll to hold little cars on the go: pattern purchased from here; posted here. 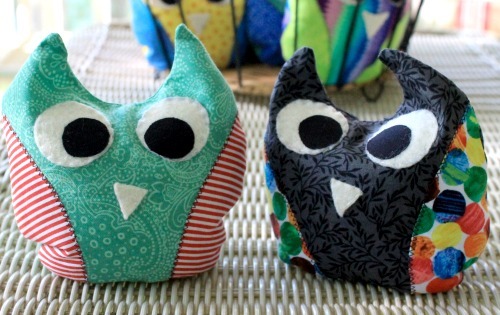 Owl rice packs (for boo-boos) made using this pattern from Bubbles and Bobbins and described in this post. Lila adores her owlie and wants it from the freezer all the time for all sorts of imagined boo-boos. I gave them as birthday party favors. 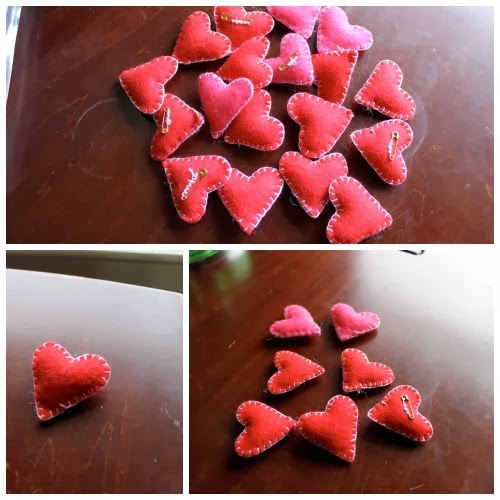 Heart pins for classroom valentine day gifts. The pattern is here on Purl Bee, posted here. 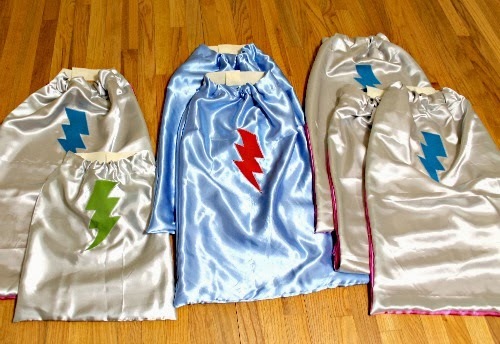 Superhero capes, made for a volunteer project. The pattern is here on Hideous! Dreadful! Stinky! and I blogged about it on this post. 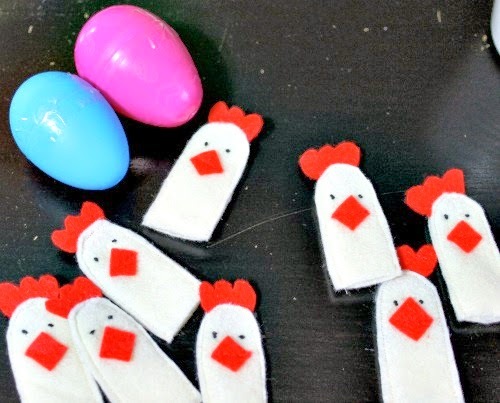 I used craft felt to make chick finger puppets to stuff into plastic Easter eggs; the inspiration is from here. 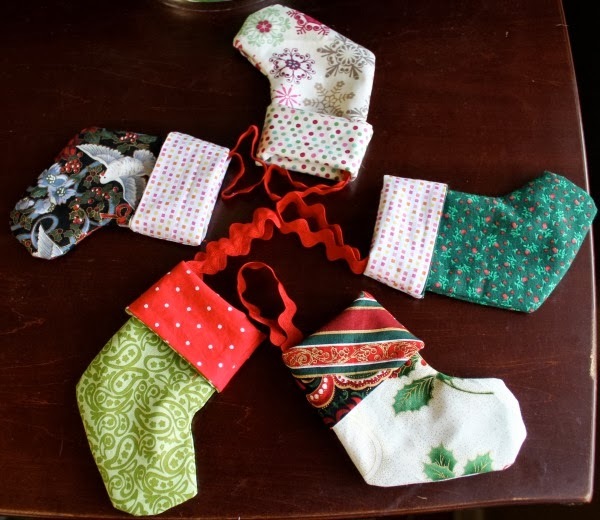 Mini stockings to be used as gift card holders for holiday gifts. I used this pattern from Crap I've Made. Posted here. 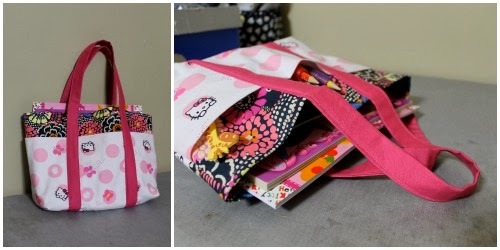 Small tote bag that is perfect to stuff with art supplies for a child. I posted this project here; pattern is called a simple six pocket bag from Better Homes and Gardens. The two hour tulip purse from the designers at Anything but Boring. I purchased the pattern at a quilt show for around $12. 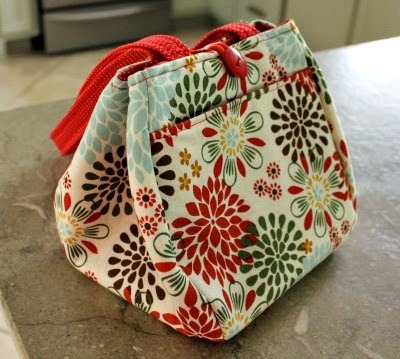 A gratifyingly well-written pattern and it makes a cute lunch bag/ around town purse. Fleece blanket, described in this post. This is a hand-sewing project. 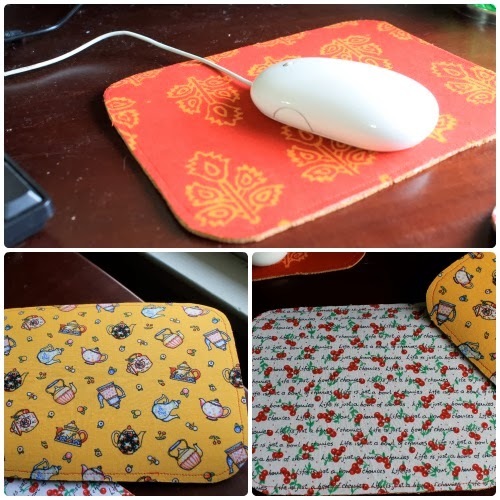 Fabric covered mouse pads using this tutorial from Gen X Quilters. Posted here. 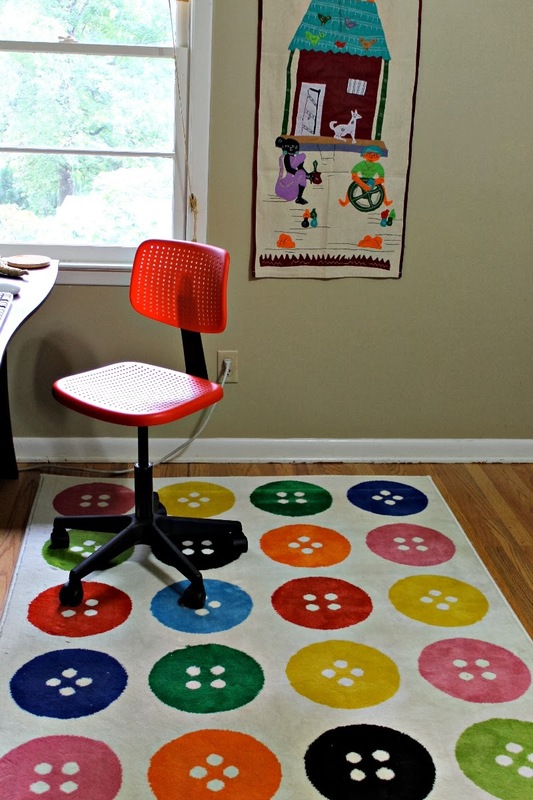 A few notes on my sewing machine and a sneak peek into my sewing room here. My very first quilt. 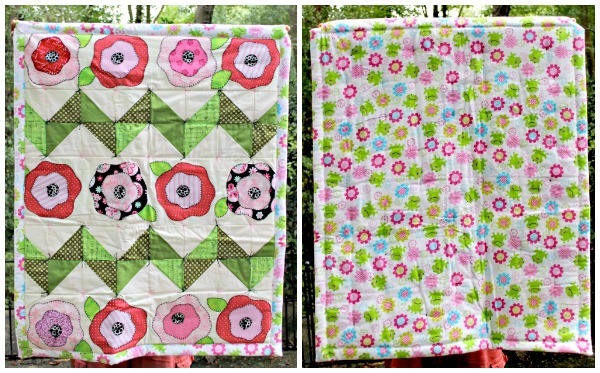 I used the free pattern Road Trip Quilt on Cluck Cluck Sew and sure enough, it was the perfect beginner pattern. 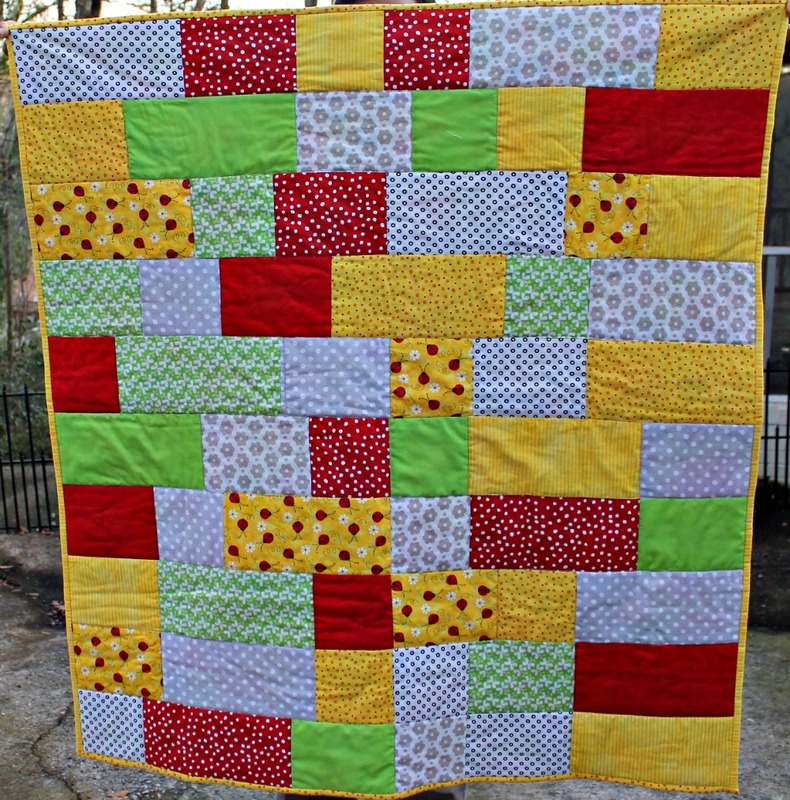 This quilt was featured in this post. This has become Lila's favorite quilt to cuddle with every night. This was an improvised quilt- the zig zag rows are from Purl Bee's pattern and the flowers were freehand drawn and appliqued. I mentioned this quilt here and here. 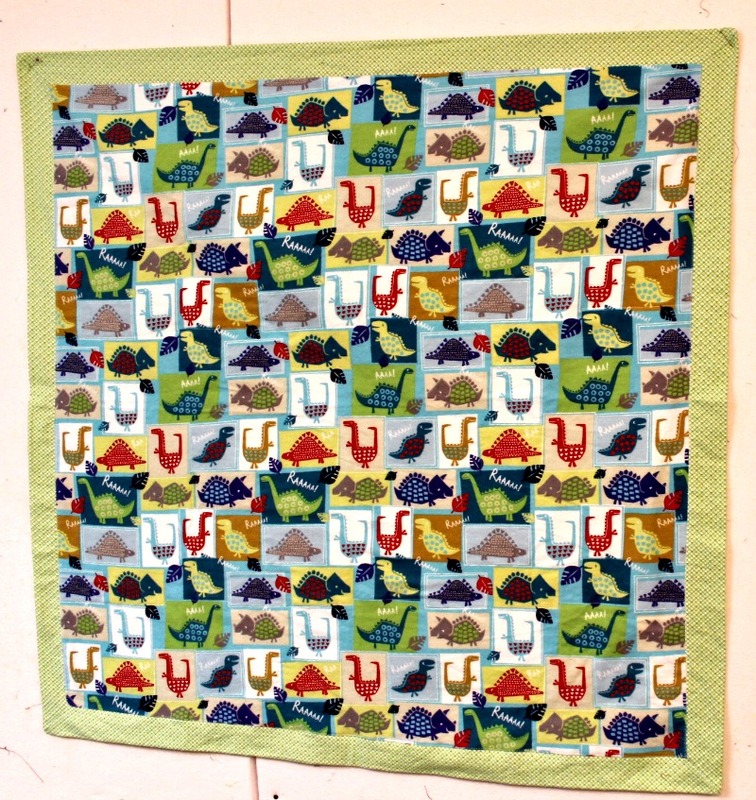 This applique quilt as a first birthday gift. Made using the bird and bunting quilt pattern on Pieces by Polly. I showed this quilt in this post. 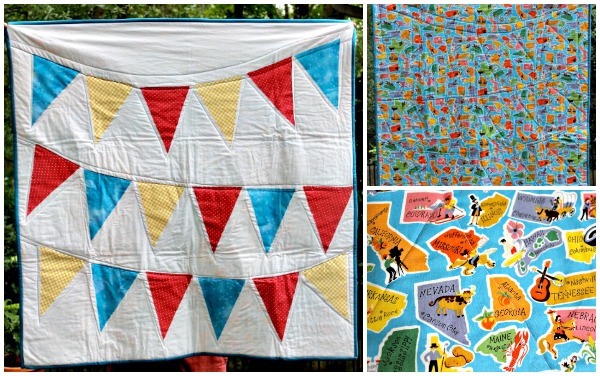 This is a "cheater" quilt made from a printed panel called Wheelie Fun Town (now discontinued, but I found it online). 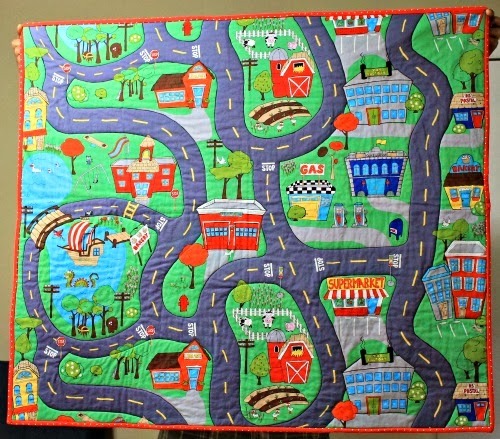 It features a little town and is a quilt and play mat in one. This was made as a second birthday gift. I mentioned this quilt in this post. Nice one Nupur. 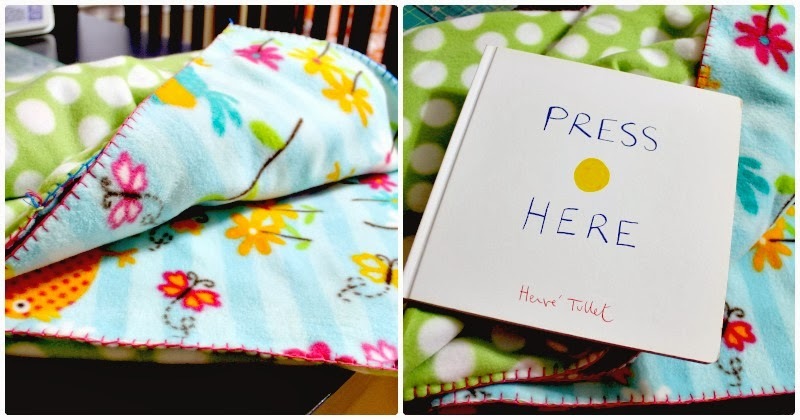 I am an avid reader of ur food blog and since I am a quilter from past one year, this section is of so much interest to me...I love ur projects and also the blogs that u mention with those projects. Thanks so much. hi nupur..pallavi here..good to know you n ur work at one hot stove.. nice stuff u work on....ur projects are pretty and good lessons for my ladies..a community we run called WE. visit our site n visit us too. we are based in madh, mumbai. you'll have some great fun knowing how we work n what we do..where in maharashtra are you placed?